With a snow storm in the forecast and a late start saturday becomes the only day we could hike. With limited time Lucy and I quickly bag Mount Moriah. 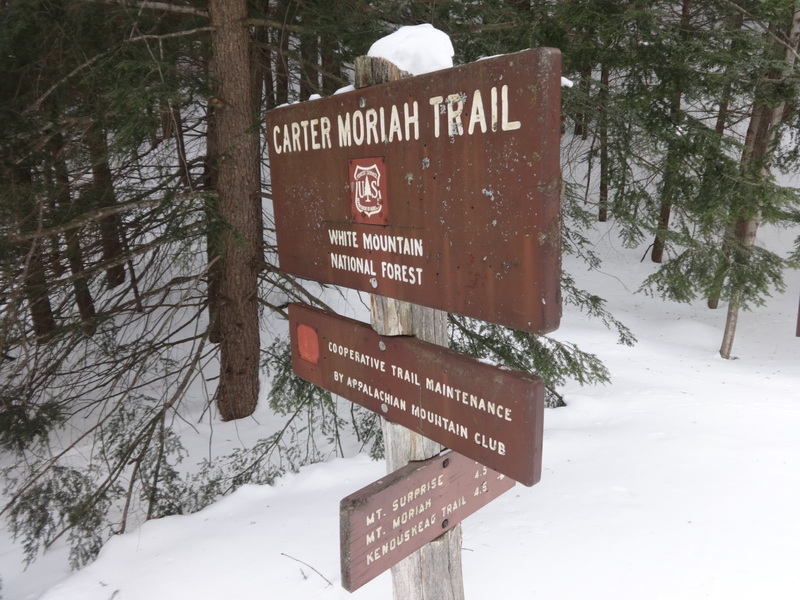 The light snow and cold temperatures combine to provide a lovely afternoon snowshoe hike. 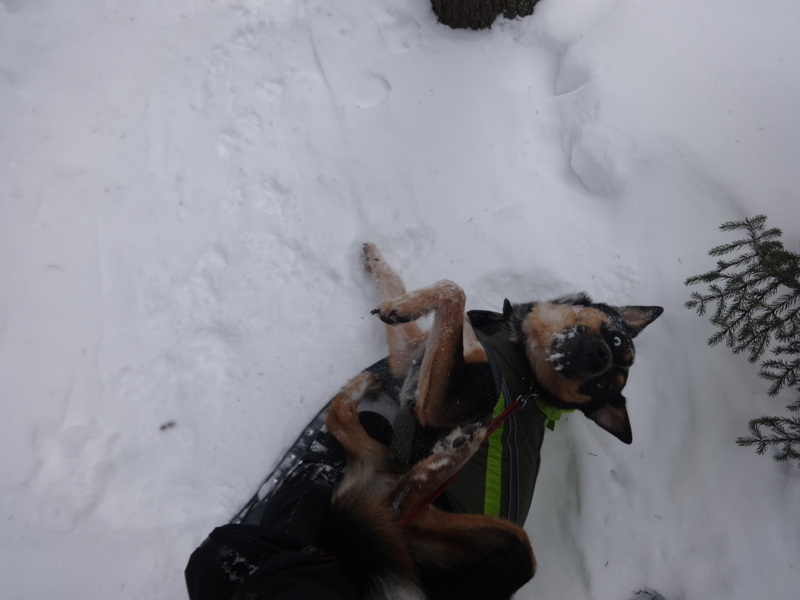 A well broken trail makes for a smooth hike bringing Lucy and I one step closer to our winter 48. Lucy and I were on the road around 6:30. I had an appointment at 10 in North Conway. (More on that to come!) Afterwards I figured we would hike Moriah before the snow came. There was supposed to be heavy snow and I wanted to see how bad it would be. We started hiking around 11. The trail was well broken and it was great. Lucy was as ready as ever. 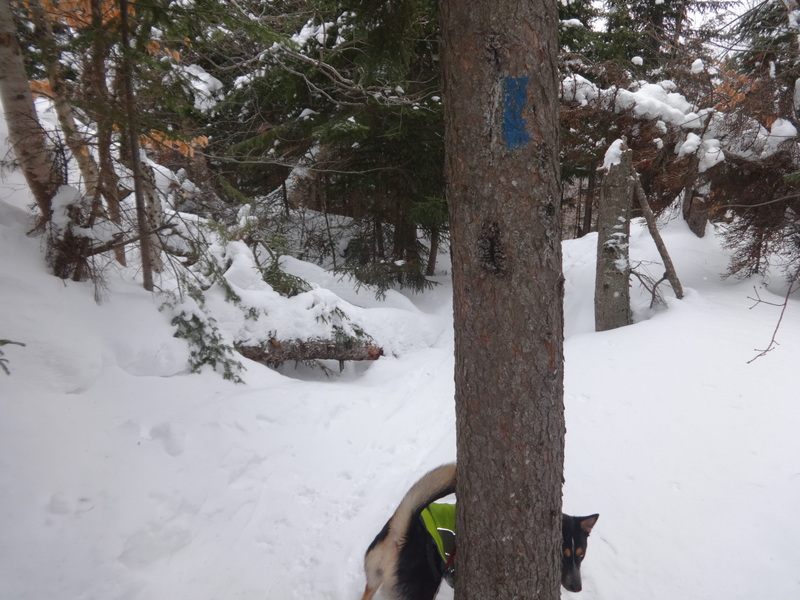 We met another woman hiking with her dog Jasper but they turned around at mount surprise and we did not see them again. 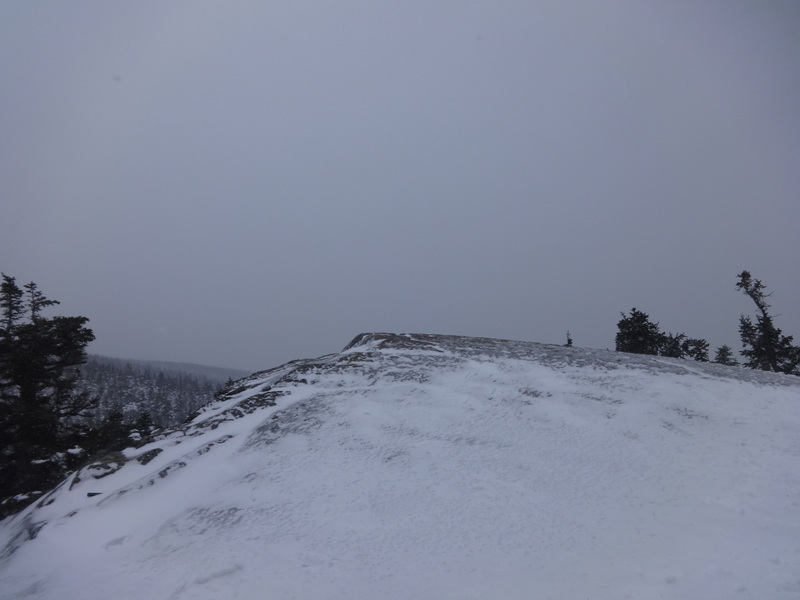 It was a cold hike but with good pace I kept warm in my base layer and a soft shell windbreaker. Once on top though it all froze up on me and I had to swith layers. It was a simple to the point hike. 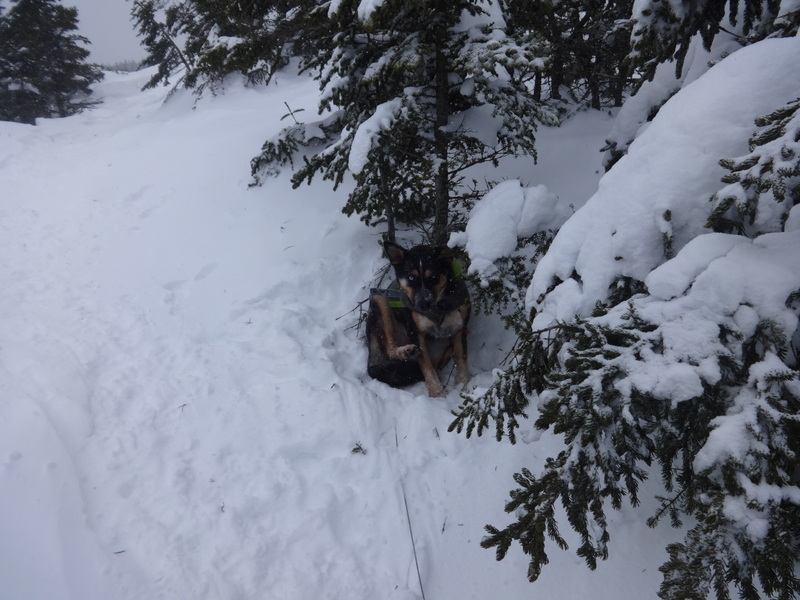 I imagine anyone who wants to get this hike done will have an easy time regardless of the fresh snow as the north did not get as much. Lucy and I decided to call it a day after this hike and returned home. It was a light weekend but we still got one and we were home before the snow accumulated too much. With 13 mountains left and 4 weekends to do so Lucy and I have our work cut out for us. Next week we will be back out in full force so check back then. See you out on the trails!